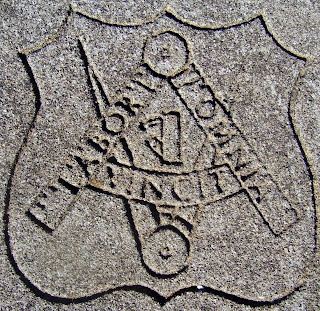 I found this symbol recently on a ledger marker in Midway Baptist Church Cemetery at Lizella, GA. 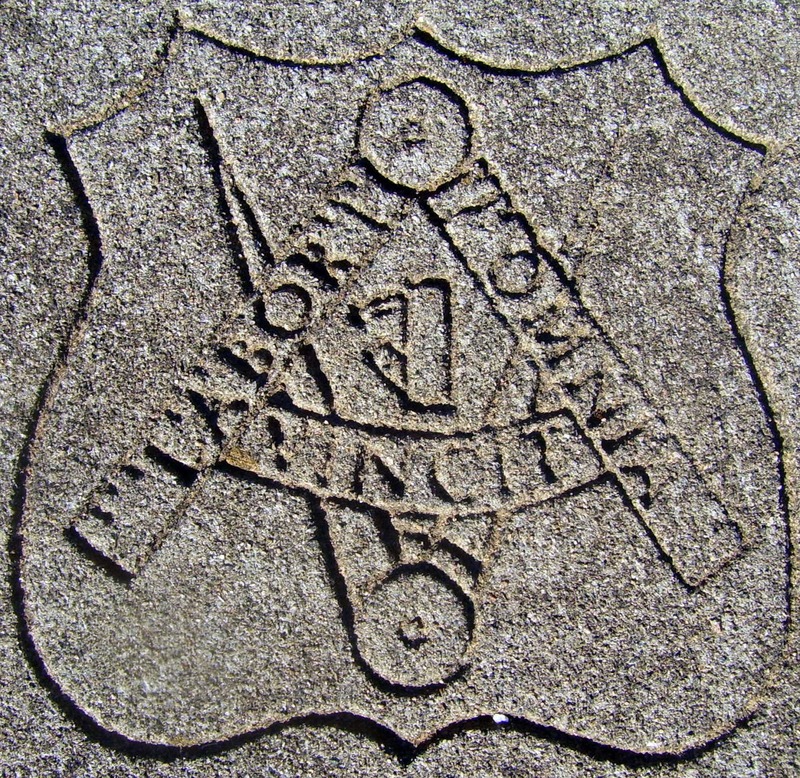 I figured it connected to the masons somehow, but a little bit of digging suggests that is not the case. This is the symbol for the United Brotherhood of Carpenters and Joiners of America. The UBC is North America’s largest building-trades union, with more than a half-million members in the construction and wood-products industries. It was founded in 1881 by Peter J. McGuire. His tireless work in the early years of the union led to the eight-hour workday, the founding of the American Federation of Labor, and wages that more than doubled. P. J. McGuire built union membership to more than 167,000 by 1903. He also crafted a lasting and historical memorial to all workers — the Labor Day holiday. In 1884, delegates to the United Brotherhood of Carpenters’ Fourth General Convention adopted this emblem to serve as a symbol of the union’s ideals. After a century and a quarter, some of the items are no longer common on jobsites, but the values they represent remain a vital part of the Brotherhood. · The ruler signifies the Golden Rule. · The compass reminds members to stay on track in their lives and work. · The jack plane is a simple symbol of the trade. · The colors were carefully chosen: pale blue for the purity of labor; dark red for the dignified labor that flows like blood through those who toil. · The shield embodies the concept that all members are morally bound to protect the interests of the organization and its members.